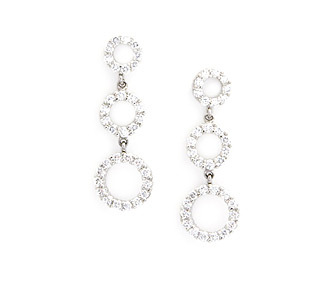 Featuring three graduated circle wreaths of prong set diamonds, these white gold and diamond earrings are the perfect mixture of modern and classic styles. 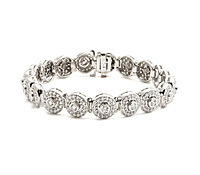 Now you can rent bridal jewelry and enjoy the special touch of find diamonds. 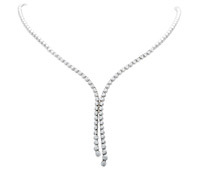 Diamonds: 1.35 TW | Gold: 14K White | Post | Length: 1 1/4 in. | Width: 7/16 in.